Dark Fall: The Journal - Copyright © 2000 - 2013 Jonathan Boakes. All rights reserved. 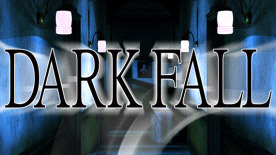 The Dark Fall: The Journal logo design is a registered trademark of Jonathan Boakes. The Darkling Room logo design is a registered trademark of Darkling Room. All other brands, product names and logos are trademarks or registered trademarks of their respective owners.